If you are a victim of a truck accident, a car crash or any other kind of accident in Santa Clarita, Los Angeles County, California, or a family member was injured or died in a truck accident with a wrongful death claim, our injury accident attorneys can assist you with the best legal representation during your personal injury claim. Contact our law offices and legal team now for a completely FREE & CONFIDENTIAL CASE CONSULTATION AND INITIAL CASE EVALUATION. We are a dynamic and compassionate group of lawyers, offering the finest legal representation for your truck accident personal injury case in Santa Clarita, Los Angeles, California. Our aggressive personal injury lawyers will make sure that you get the maximum compensation for your losses or damages incurred. When one is involved in a truck collision, there are many rules and legal procedures to take care of, from timely and proper reporting of the accident, including to the police, insurance companies and the California DMV. Therefore, one is going to need diligent legal assistance of experienced truck accident personal injury lawyers to understand what is to be done, when it needs to be done and most importantly what is not to be done and NOT to be done. Find general information on our Truck Accident Website for details on how to deal with the situation when you or a loved one is involved in a truck collision or car crash in Santa Clarita, Los Angeles. And you can receive more specific and FREE advice about your own particular truck accident or other accident in Santa Clarita, Los Angeles or anywhere in California by clicking here. 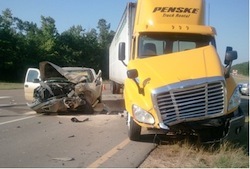 For more information on our experienced truck accident personal injury lawyers and law firm, please visit our home page. To know about our attorneys, feel free to check our lawyer profiles, and our personal injury & wrongful death case testimonial pages. You can even talk to us directly. Please call us at 818-222-3400 or 1.866 INJURY 2, or simply click here 24/7 for our detailed contact information. 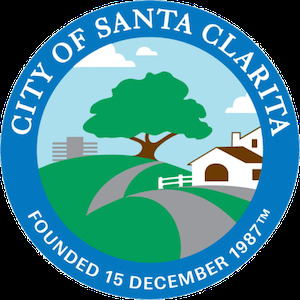 The city of Santa Clarita is the third largest city in Los Angeles County and the eighteenth largest in the state of California. Santa Clarity city is located approximately 35 miles northwest of downtown Los Angeles and occupies the majority of the Santa Clarita Valley. 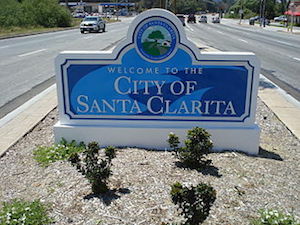 In 2006, according to Money magazine, Santa Clarita was ranked at 18th among the top 100 places to live. According to the 2010 United States Census, the city of Santa Clarita had a population of 176,320. The population density was 3,340.6 people per square mile. The three major employers in Santa Clarita are Six Flags Magic Mountain (approximately 3800 employees), Princes Cruises (1625) and Henry Mayo Newhall Memorial Hospital (1400). Some famous people who have lived in Santa Clarita include noted American film director, Tim Burton, actor Meagan Good, teen heartthrob and actor Taylor Lautner, and former major league baseball players Eddie Murray and Todd Zeile. Our Personal Injury & Wrongful Death Accident Lawyers Possess Over 40 Years of Experience! 2013 Fatal Crashes and Road Traffic Accident Statistics for Santa Clarita, Calif.
For a quick and easy way to reach us 24/7, tell us all about your truck accident personal injury case by filling-out your case details in our contact us form. Our legal experts will get back to you in no time. You can even contact us by email at Info@WalchLaw.com. We also work on CONTIGENCY FEES on accident cases which means there is NO fee until you WIN!